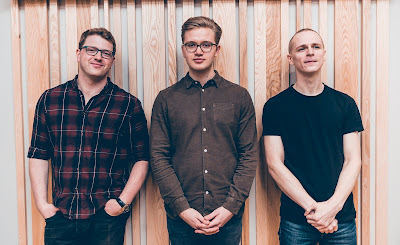 LondonJazz News: I’ve heard all three of you individually, but what made you start a trio? Jacky Naylor: I first came across Nick and Jonathan when they played with Andy Bunting every Saturday at The Old Joint Stock in Birmingham. We all passed through the Conservatoire, though not at the same time, but I started going each week to hear them. My first album, Rough Boundaries, featured Birmingham Jazz Orchestra, where Silky held the drum chair, and, soon after, I met Nick. I wanted a new writing and improvising outlet, and felt encouraged by both Jonathan’s and Nick’s individual sounds, clear thoughts and honesty. It meant that the music I was composing felt more like a collaboration than an individual project, hence the name ‘Meraki’, which comes from a Greek word which describes the love, heart and soul that you put into something, or the essence of yourself that you put into your work. LJN: What has Meraki done so far? JN: Meraki is two years old and we’ve used that time to grow a deep familiarity with each other’s sound. We’ve played frequently, stretching and exploring the music, plus my writing has developed with both of their musical personalities in mind. But growing the trio has been more than a musical project. David Stanley, a visual artist I also met in Birmingham (though he now lives in Serbia), has collaborating with us to produce videos of our new music. I’ve been interested in why live perfor- mances, rather than listening at home, can engage people, and wanted to use the videos to offer listeners a visual experience. Funding from Arts Council England allowed David to take complete artistic control with these videos, and the outcome is very exciting. LJN: How would you describe your music? JN: Having written previously for big band, it’s been fun exploring the different sounds achievable with the trio. The music is modern and complex, but learning and memorising it together has been a rewarding experience. I’m currently studying a Master’s at The Royal Academy, which means my ideas have also been shaped by inspiring faculty members such as Kit Downes, Jasper Høiby, Nikki Iles, Pete Churchill and Stan Sulzmann. LJN: What are you hoping to get out of the tour? JN: We want to share the new music and see what people think. We’re visiting a wide range of places (see below) and each venue has an acoustic piano. This completely transforms the sound of an acoustic trio and the relationship between each instrument. Having the experience of playing in a lot of different settings, on different pianos, and to different audiences will allow us to fully stretch and explore the music before we record an album. LJN: You mentioned recording, what’s next for Meraki? JN: Once we’ve completed the tour, we’re heading to Real World Studios to record Meraki’s first al- bum, thanks to funding from Arts Council England. Afterwards, who knows? We are planning to release the album in 2020, and hope to keep the ethos of collaboration at the heart of our future projects, and though we’ve had endless conversations about who would be our dream collaborators, we’re going to keep it a secret for now.